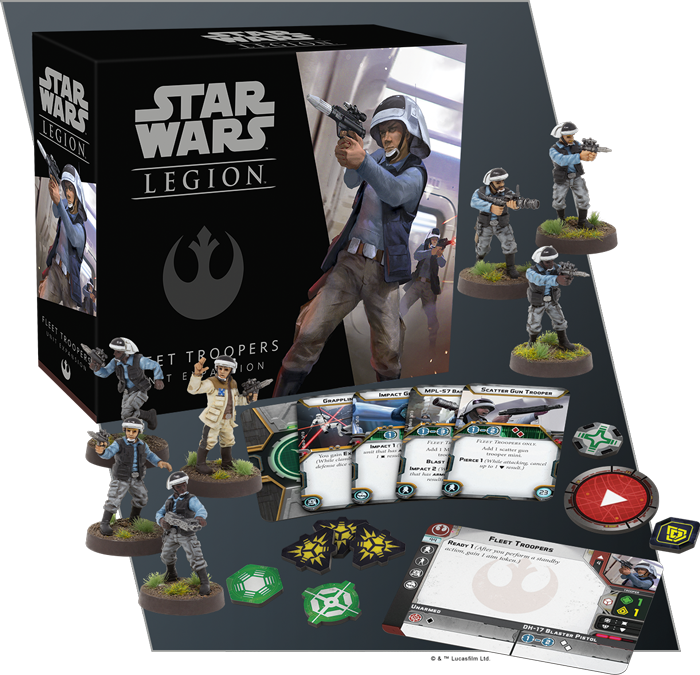 Fantasy Flight Games is proud to announce the next Unit Expansion for Star Wars™: Legion—the Fleet Troopers Unit Expansion! You can pre-order your copy of the Fleet Troopers Unit Expansion at your local retailer or online through our webstore today! Then, read on for more information about how you can bring the Fleet Troopers out of orbit and into your battles. Trained for close-quarters combat onboard the naval vessels of the Rebel Alliance, the Fleet Troopers wield their rapid-fire DH-17 blaster pistols with uncommon potency. Although a Rebel Trooper armed with a A-280 blaster rifle may be more accurate, the Fleet Troopers’ DH-17 blaster pistols produce a greater volume of fire, with each weapon firing two white dice in every attack. It’s also important for new commanders to note that DH-17 blaster pistols have a shorter range than the standard-issue blaster rifles used by the Rebel Troopers. This shorter range is immaterial when doing battle in the close confines of a starship, but can play a role on a larger battlefield. 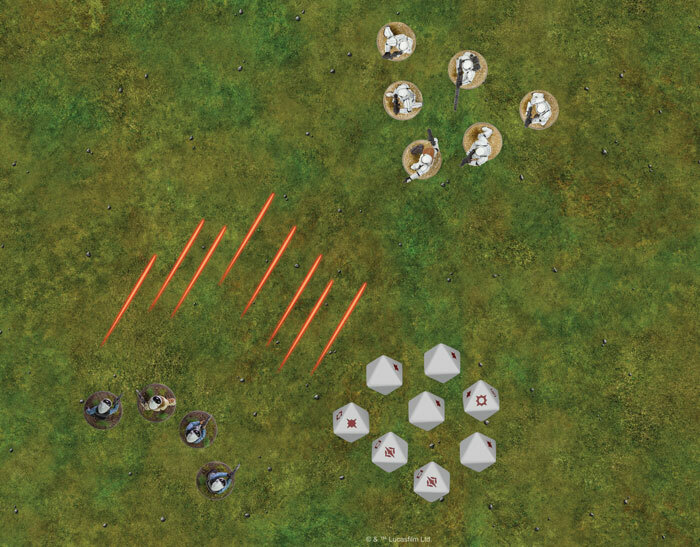 Every Fleet Trooper contributes two white attack dice when firing! We’ll take a closer look at these heavy weapons miniatures and every part of the Fleet Troopers Unit Expansion in a future preview! 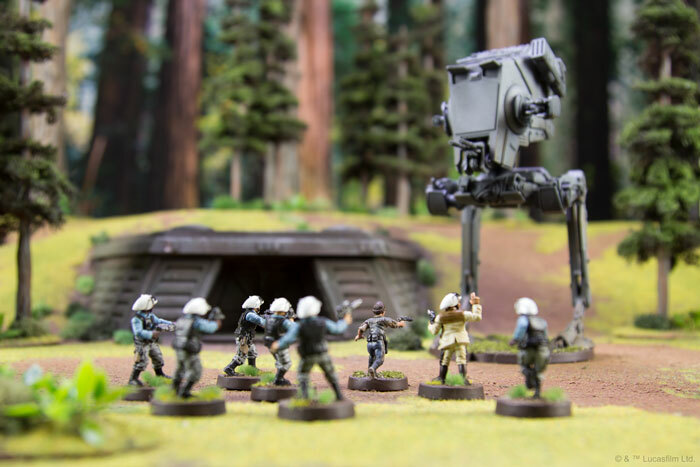 It’s nearly time for your Fleet Troopers to come out of their starships and report to the larger battlefield. 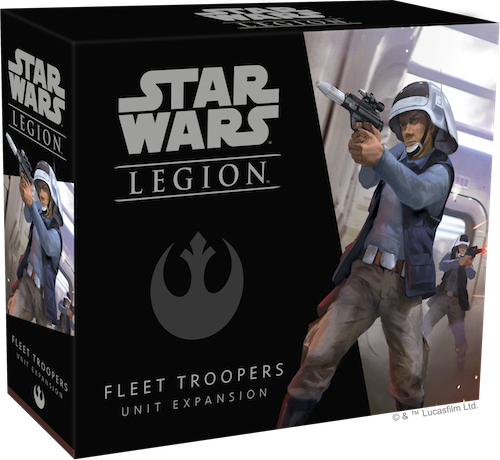 Look for the Fleet Troopers Unit Expansion and the Leia Organa Commander Expansion to release together in the second quarter of 2018! 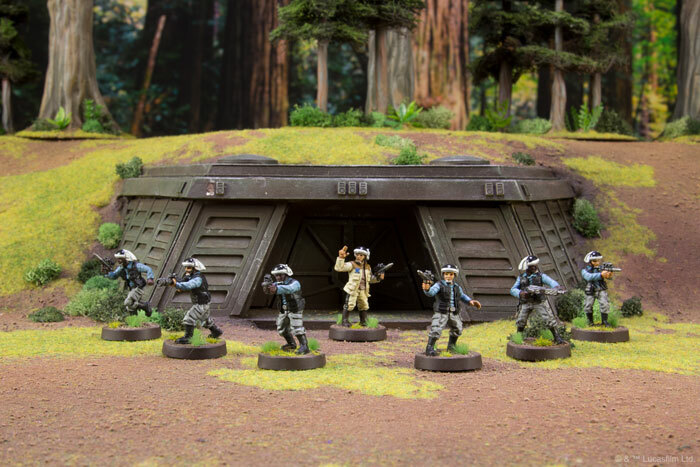 You can pre-order your copy of the Fleet Troopers Unit Expansion (SWL13) at your local retailer or online through our website today.